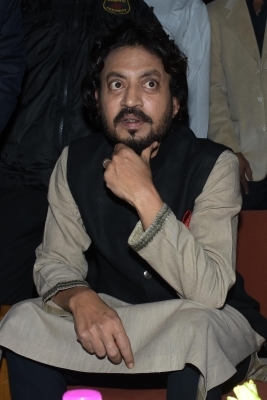 New Delhi, May 14 (IANS) Actor Irrfan Khan, who has signed his next Hollywood film “Puzzle”, says the “beautiful” aspect about the movie is the fact that it’s a woman-oriented project — a la the Bollywood film “Piku”. “Puzzle” will tell the tale of a 40-something woman who is consumed with caring for the men in her family. When she discovers she has a gift for assembling puzzles, her world begins to open up and her entire family is forced to adjust and grow as well. Irrfan, who is one of the more visible Indian faces on the international film turf, told IANS here: “I was looking for a subject in Hollywood which would be new. And I was waiting for it… Such a film has come to me after a long time. It has aspects that I haven’t done as an actor. The film’s concept seems woman-oriented. So what made him choose it? “That’s the beautiful part of it,” he said. In “Piku”, Irrfan had played Rana Chaudhary, a man on a journey with a short-tempered woman, essayed by Deepika Padukone, who takes care of her ageing father, played by Amitabh Bachchan. The emphasis was more on the woman and her father, but Irrfan’s role was very crucial to the story. For “Puzzle”, in which he essays the lead alongside actress Kelly Macdonald, the actor will soon leave for New York to begin work on the project. As of now, he is busy promoting his next Hindi film “Hindi Medium”, a quirky tale which talks about how the education system is creating a divide in the society. Irrfan, who has featured in a mix of serious and slice-of-life movies in his career, says exploring such varied characters keeps him alive. “If you keep doing similar things, you get bored. So it’s better that you find a new subject and find yourself something fresh to keep the journey exciting,” he said. Also, the fact that the movie gives an important message but in a lighter vein is what caught his attention.